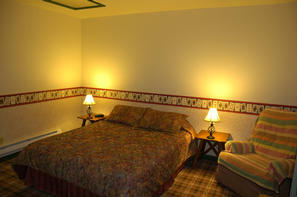 Sleeping accommodations are plentiful and perfect for families or large groups. The School House Inn sleeps 14 people with ease. We have 2 bedrooms that each have a king bed, a bedroom with a queen bed, a bedroom with a queen bed and two twin beds, a bedroom with a double bed and a twin bed, and an alcove area with two twin beds. Pick the bed that best suits you for the perfect night's sleep! This alcove area located downstairs features two of the five twin beds and shares a bathroom with the other three bedrooms downstairs. 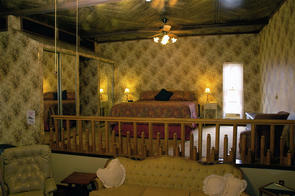 This bedroom located in the gym area features one of the two queen size beds and a private half bathroom. 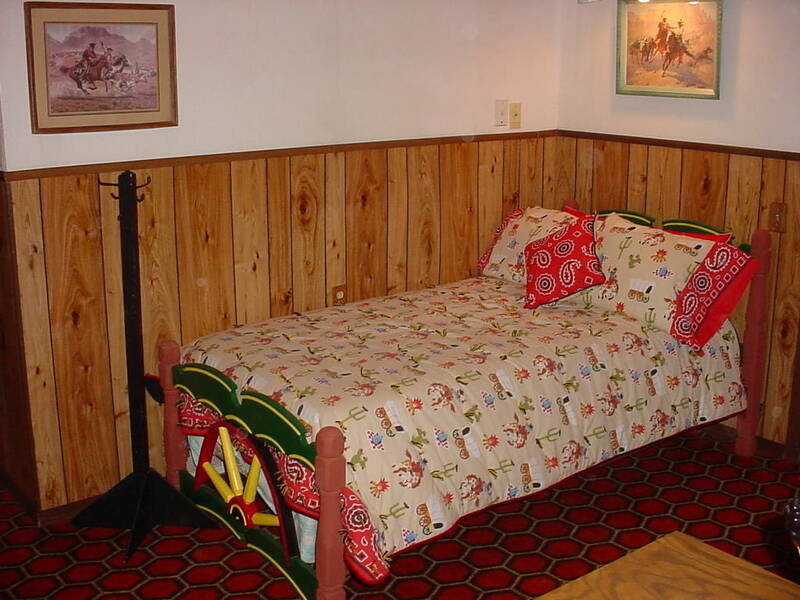 This bedroom is located on the original school stage. It is open to the living room and features one of the two king size beds and a private bathroom.